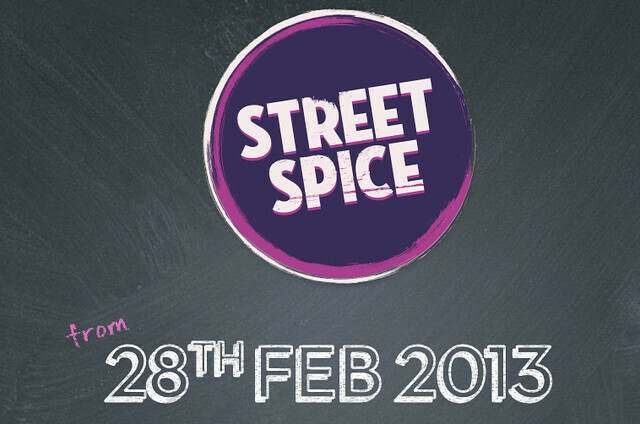 Heavily publicised, but in case anyone hasn’t heard of it – Street Spice at Life (in Times Square), is a massive three day food festival celebrating all that is spicy, with loads of street food, chef demos, music, and more. Right up our street! Organised by the always-awesome Bob and Neeta Arora of Sachins, the event is very close to their heart – their spicy restaurant has been open for 27+ years, and is our go-to for an amazing curry. As well as this, the event is in remembrance of a family member of theirs who died recently of a brain tumor, and all profits from the event will go to the guys doing research at Brain Tumor UK – so fill your boots and do some good at the same time! So what’s on? As well as the essential chef demos – look out for one from Bob himself (always fun), something spicy from Terry Laybourne, and Kenny Atkinson. Our pick of the tasters is from The Rib Man – first seen locally at Urban Night Feast – believe all the hype about this guy if you love your meat, and love it extra-hot. Adopted local David Kennedy always offers something great, as well as the usual street food we know and love from the Sachins guys themselves (try the channa bhattura if they have it on), Riley’s Fish Shack with their grilled seafood, and beer, as you might have guessed, from Wylam Brewery. Electric East always put out something quality, and Popolo is even offering spicy-themed cocktails. Loads of others mean everyone should find something they like – pancakes, african, paella, and loads more. We almost feel sorry for people who can’t handle spicy food! This kind of event is exactly what the region needs, and following on from the 10,000+ visitors at UNF, looks set to be a massive success. With any luck, events like this will really take off and become frequent here, and Newcastle will finally catch up with the street food scene. Everyone’s a winner. We’ll see you there, with a gob full of something tasty.